While Dayton has been historically recognized as a center for innovation and new ideas, it’s also home to many potential risks that can result in serious personal injuries. From car accidents on Interstate 70 or I-675 to pedestrian or cyclist mishaps on James H. McGee Boulevard, to construction accidents at new commercial developments across the metro area, the possibility of being seriously injured in Dayton due to another’s negligence or inattention is significant. Unless you or your family has previously experienced such a devastating loss through a serious injury, it can be hard to comprehend the complexities of recovering from such a medical situation. The injury victim and their loved ones must juggle bills for medical care, unpaid household expenses, transportation to medical appointments, supportive treatments and a dramatic change to their daily lives. At the Dayton law firm of Elk & Elk, our team of attorneys relies on the long history of success to handle your claim and get the best possible outcome. You can call our attorneys at any time to discuss your case at 1-800-ELK-OHIO or you can chat with us online. If you are unable to visit our offices, we will meet with you where it is safe and comfortable for you to do so. What qualifies as a serious injury? Here is an overview of some of the more common serious injuries and their consequences. 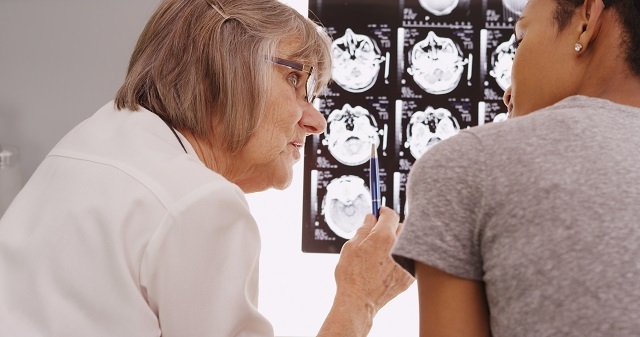 Brain injuries can be caused by a blow to the head or by the head striking an object. This can result in a concussion or a traumatic brain injury of varying degrees of severity. Car accidents, workplace accidents (particularly construction work sites), and slip-and-fall injuries can all result in brain injuries. Spinal injuries occur whenever a disc, nerve or another component of the body’s spinal cord is damaged. This can result in excruciating pain, loss of sensation, loss of bladder or bowel control, loss of sexual function, loss of fine motor control, or even complete paralysis below the site of the injury. Paralysis injuries involving the lower part of the body are called paraplegia. Persons who are paralyzed and who cannot use their arms or legs suffer from quadriplegia. Spinal injuries can be caused by many types of personal injuries, including motor vehicle accidents, pedestrian or cyclist accidents, workplace injuries, construction worksite accidents or trip-and-fall injuries. Amputations can occur during an injury accident or be the inevitable result of negligence or poor care. Accident-based amputations can occur during a car or truck accident, in an industrial setting such as a factory, or at a construction worksite. Amputations may also be medically necessary if a body part does not heal correctly after an accident. If a person suffers poor medical care for a condition such as diabetes, or in the aftermath of a broken bone, amputation may become medically necessary to save their life. Those who suffer an amputation must deal with ongoing physical and psychological issues as they recover from the injury. Bone fractures are extremely common severe injuries found in the aftermath of many types of accidents, including slip-and-fall, motor vehicle and workplace accidents. Broken bones can result in simple, compound, multi-compound or compression fractures, depending on how many breaks a bone withstands and the location of the injury. While bone breaks are common, that does not mean they are easy to manage. Comprehensive treatment of fractures can require physical therapy, pain management, surgery and infection management (if the bone fracture breaks the skin). Internal injuries can cover a long list of damages to organs and tissues. Internal injuries can include damage to the heart, liver, lungs, kidneys and spleen. These injuries may not be immediately obvious after an accident – a car accident or a trip-and-fall incident, for example – but if untreated, they can have catastrophic or fatal consequences. Chest injuries are categorized into two types: blunt force and penetrating. Both can occur in a personal injury case. Penetrating chest injuries could be caused by flying glass in an auto accident or by metal or plastic hitting the chest during an industrial workplace accident. Blunt force chest injuries are frequently seen in motor vehicle accidents. Treatment and recovery from chest injuries can include lengthy hospitalizations or periods of bed rest, surgery, pain management and other measures. Catastrophic injuries refer to ones that cause a permanent physical or psychological limitation. These can range from facial disfigurement, loss of one’s sight or hearing, severe or extensive burns, nerve damage or paralysis, or damage caused by electrocution (high-voltage electric shock). Treatment of these types of injuries can take months or years and is almost always followed by ongoing care needs and adaptation to a reduced quality of life. Anxiety, depression and sleep disturbances are also common mental health conditions found in catastrophic injury victims. Recovering from a serious injury, or adapting physically and mentally to one’s “new normal” in terms of capabilities and limitations, requires the intervention of many health professionals. A serious injury may also mean you will need ongoing care. This could include home health assistance, respite care or private nursing. If your disability from the serious injury is permanent, you may need to train for a new career or accept government assistance if you are unable to work at all. To speak with one of our attorneys during a free initial consultation, call 1-800-ELK-OHIO or contact us.